Cocktails and apps! – Eat, Drink, and Go! Probably my favorite kind of dinner to put together on a Friday night is just an array of appetizers! And, of course, paired with a fancy cocktail! 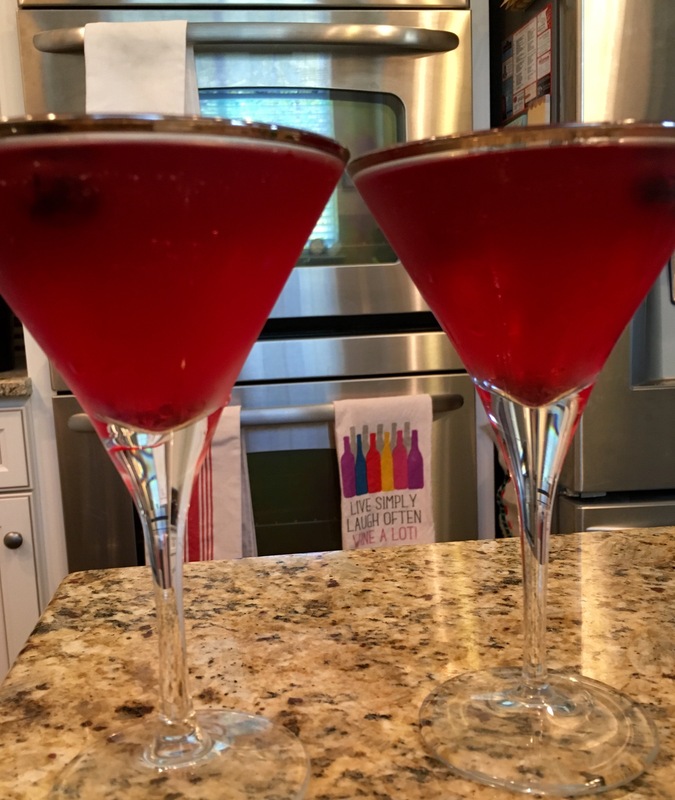 Last night’s drink was a pomegranate martini – vodka, triple sec and POM with a couple frozen blueberries floating about. Yum!! And potent! 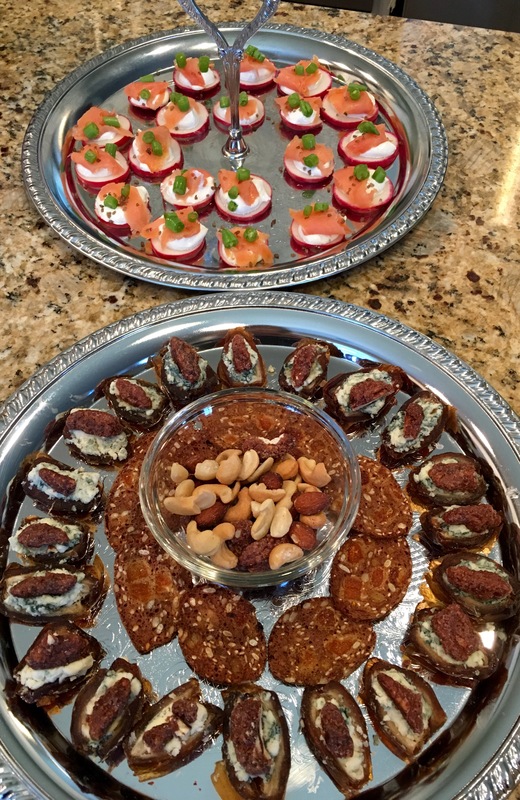 For the apps, I did bleu cheese stuffed dates with a candied pecan on top – these are incredible and very easy. Cut the date open, remove the pit and stuff with bleu cheese, then press a candied pecan on top! Pop in your mouth for a burst of sweet, salty, chewy, crunchy, tangy bliss! Also arranged smoked salmon atop a raw radish chip. I got on a radish kick about a year ago now, you can do a lot with these otherwise innocuous garnishes. Slice as chips for dips or a palette for toppings, dice in a salad for some extra crunch, or roast in cubes and they totally pass for potatoes! Great stuff. Between the radish chip and the smoked salmon, I made a mix of sour cream and wasabi for a little kick and topped with sliced raw green beans and applewood smoked salt. The dates sound amazing and make my mouth water! And your plating is beautiful.